Every two years JDRF brings 150 children to Washington DC to tell their stories to members of Congress. This week, you'll hear how Children's Congress works, who attends and what this event means for families who participate, even years later. There's so much going on in this episode, we broke it down by time code below! 5:10 Silvi Pold, diagnosed type 1 at age 8 is the social media and activities coordinator for Bike Beyond. Silvi shares why, as someone who loves outdoor adventure, even she thought a team of T1D bikers riding cross country was an "audacious" goal. 21:30 Alisa Norris, Chief Marketing and Communications Office at JDRF and a mother of two T1D sons explains how JDRF Children's Congress got started and what happens during the 3 day event. 36:00 Brec Bassinger is best known for the title role in Nickelodeon's "Bella and the Bulldogs." She's also starred in TV's "The Goldbergs," "School of Rock," and co-stars in the upcoming feature movie "Status Update." Brec is attending JDRF CC as a special guest this year. She talks about what helped her pursue her dream of acting after a T1D diagnosis at age 8. Stacey's son Benny sits in on the interview - he and Brec swap some Nick Jonas stories! 55:30 Lauren Stanford attended JDRF CC at age 11 as a delegate and again two years later as Kid Chair. Lauren shares how much the experience meant to her then and how it's influenced her as she pursued a career in Washington, DC. This week, two valuable groups are coming together for a big event this fall. For the first time, The Diabetes UnConference and Diabetes Sisters Weekend for Women will be at the same time in the same place. 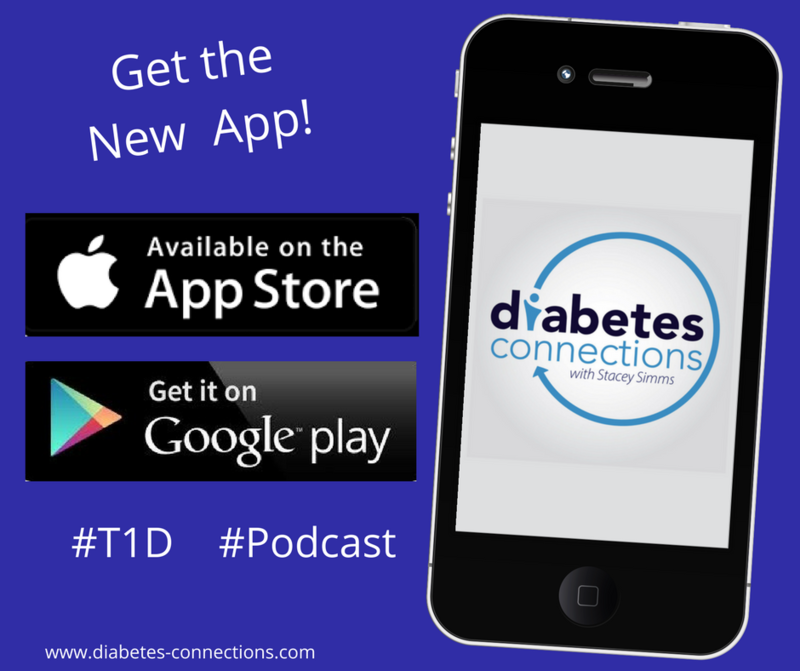 Stacey talks to Christel Aprigliano from the Unconference and Anna Norton from Diabetes Sisters talk about their groups and why they decided to have a "peanut butter in my chocolate!" moment. This week we find out all about a new reality TV show called Reversed. It premieres July 18th on Discovery Life Channel featuring people with type 1 and type 2 diabetes. The brainchild is producer & host Charles Mattocks and he’s well aware that the name is raising eyebrows. Stacey talks to Charles about the show, his opinions about the diabetes community and healthcare providers/pharmaceutical companies. He talks about why that's already rubbed some people the wrong way and shares some of the tough-love methods you'll see on the show. Plus, week six of our coverage of Bike Beyond! 20 riders, all with type 1, heading from NY to California. This week, you'll hear from Amanda Oberski.. who at first.. wasn’t a fan of the idea of a cross country ride. In fact, she thought it sounded horrible! And is that diet soda really diet? This article from MySugr gave Stacey the idea to check once and for all. She'll share how it really helped on a recent trip to Disney World. This week, Stacey's traveling to the Children with Diabetes Friends for Life Conference. She's giving the closing keynote: "Making Diabetes Connections at Home." In this episode, Stacey go over some of the advice to make your own real life connections. We also get reports from the road as Bike Beyond rolls on. Hear from 4 cyclists, all with type 1, who share some of the ups and downs as they continue their cross country adventure.